On October 5, 2016, 30 Sweepstakes winners met Gio at Top Golf in Dallas, TX. Prizes were distributed and the winners played golf with Gio. A great time was had by everyone! On October 22, 2017, Mountain Dew winners met Gio at the Dallas vs LA Galaxy game in Dallas, TX. 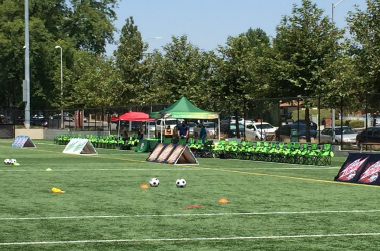 PepsiCo and Giovani dos Santos executed a youth soccer clinic in California. The event was held at the SRC Field in Northridge, CA and there were 26 participants with their guests. It was a great success!